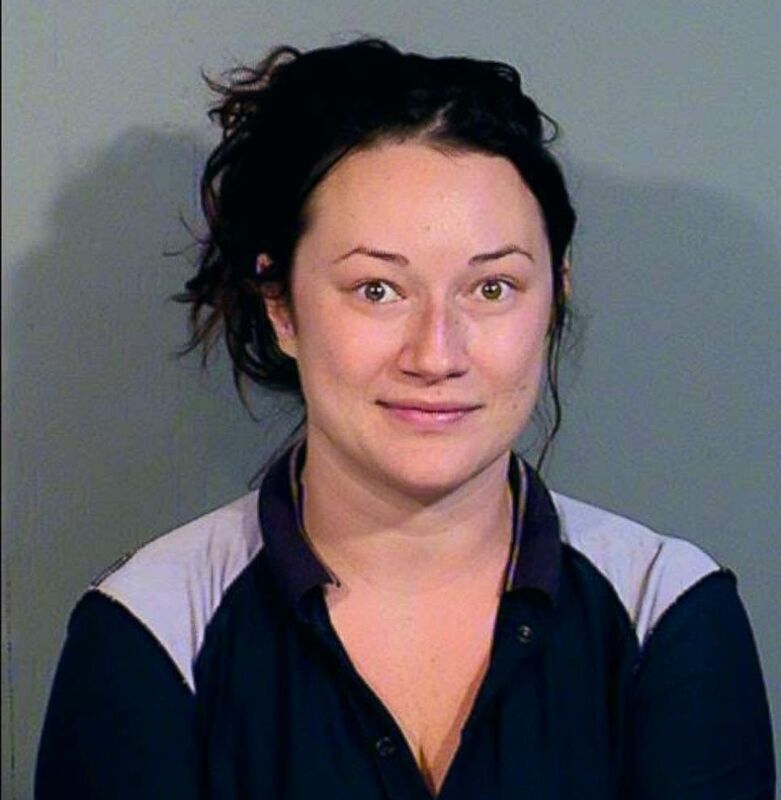 A woman in Arizona was arrested and charged with stalking after allegedly sending tens of thousands of texts to a man she met online and breaking into his home. Jacqueline Ades allegedly sent a man 65,000 texts over the course of several months, sometimes up to 500 texts per day, according to court documents obtained by local station ABC 15. Ades, 31, and the man, whose name has not been publicly released, met through an online dating website and went on one date in 2017, ABC 15 reported. The stalking and harassing began after that encounter, according to ABC 15. The Paradise Valley Police Department reported that they had received four calls about Ades either going to the man's house or his place of business between July 2017 and this month. The most extreme instance came this past April when the man called police saying he was out of the country but could see that she had entered his home via surveillance video. "When officers arrived, they found Ades in the residence taking a bath," the police news release states. On that occasion, a butcher knife was found in the front seat of her car, ABC 15 reported. Jacqueline Ades, 31 of Phoenix, Ariz., is pictured in an undated booking photo released by the Town of Paradise Valley Police Department. Ades was taken into custody after that instance and charged with felony trespass to a residence, according to police. After being released, she reportedly sent threatening texts "indicating that harm may come" to the man, police said. Some of the texts reportedly stated that she wanted to wear his body parts and bathe in his blood, ABC 15 reported. "Don’t ever try to leave me ... I’ll kill you ... I don't wanna be a murderer," she wrote in another, according to the station. The most recent time that police responded to a call about her from a local business on May 4, when police were told that she was "acting irrationally and claiming to be the wife of the owner," police said. When confronted by police by the business, which is owned by the man she had been texting and whose home she trespassed, she told police that "she was married to the owner." She was taken into custody on May 8 and faces felony charges of stalking and threatening and intimidating, as well as a misdemeanor count of harassment. She was booked into the local jail based on a failure to appear warrant that was out for her because she missed her court date for the April trespassing charge. She has no lawyer listed in court documents. ABC 15 cited court paperwork saying that Ades allegedly admitted that her statements were "crazy" and told police that she didn't intend to hurt the man.